Samsung Smartphones are arguably on the top three of Smartphone people look forward to each year for their new flagship releases. With the release of their latest flagship, the Samsung Galaxy S9, and S9 Plus, people are already pitting the model against Apple’s iPhone X and iPhone 8. The Samsung Galaxy S9 proves to be one of the best in the market as it fixes what was missing from its predecessor and improves what is needed and to keep up with the pace. From its new intelligent scan feature to better speakers, Samsung delivers a new promising Galaxy handset. The super-slow-motion video feature in today’s Smartphone isn’t new as Sony’s Xperia XZ Premium and Apple’s iPhone 5S and above models have it. But The Galaxy S9 delivers the effect fantastically an with great quality. The S9 automatically recognizes the action being captured when you choose to shoot in super-slow-mo mode. Its camera then slows down the clip to 960 frames per second at 720p resolution, giving you a 6-second clip which you can reverse, add music, turn into a GIF or put on loop. If the iPhone X has the infamous notch, Samsung’s Galaxy S8 has the inconveniently positioned fingerprint sensor. Good thing Samsung detected this annoyance (albeit they would have noticed it before the release) and repositioned the fingerprint scanner to a more natural sense— right below the camera for the Samsung Galaxy S9 and S9 Plus. 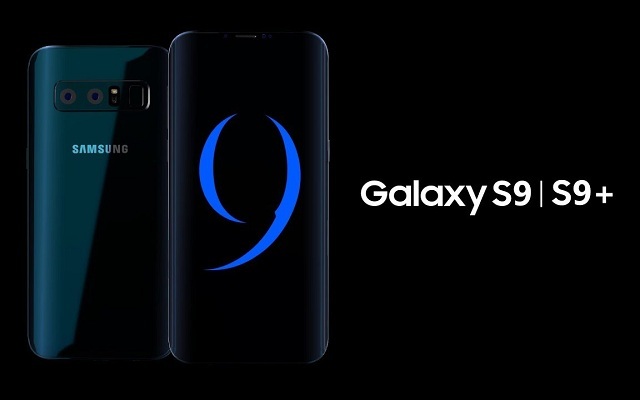 Speaking of scanners and sensors, from S8’s fingerprint sensor, iris scanning, and facial recognition authentication, the S9 introduces an additional method—the Intelligent Scan—it essentially functions as a combination of the aforementioned iris and facial scanning. This useful for when the other fails, the intelligent scan will automatically run the other mode of authentication. Both iris and facial scanning have disadvantages. Iris scanning doesn’t perform too well when exposed to direct sunlight, on the other hand, the facial scanning feature often fails when in low light situations. This is where the intelligent scan swoops in to help unlock your device with little to no effort. Bixby’s live translations is a great new feature on the S9, however, it isn’t groundbreaking as it isn’t new as there are apps that support this feature. But what makes it awesome in the S9 is that fact that it’s built-in. No need to download an app for this purpose. Simply use your camera and point it to a sign or any printed language you wish to translate, the S9 will translate it to you in real-time over the screen. Samsung has definitely taken a page from Apple’s book for this feature. The AR Emoji is a direct counterpart to Apple’s Animoji that’s available on the iPhone X. You basically just select a character and it’ll mimic your facial expressions and movements, like an avatar of some sort. The fingerprint sensor on the Samsung Galaxy S9+ lays right below the handset’s best improvement—its dual camera feature (the regular S9 sticks to one camera). A lot similar to the Galaxy Note 9, the S9+ boasts a dual pixel 12 MP with dual aperture camera as well as a secondary 12 MP telephoto lens with a f/2.4 aperture. In addition to that, it has optical image stabilization feature. You’ve got this reason to capture more photos and memories! Samsung Smartphone users have always dreaded its speakers as they’re not the best in the market. With the Galaxy S9, they launched a new and improved speakers—not one, but two (front-facing speaker), nonetheless! Thanks to Samsung’s acquisition of Harmon Kardon, they audio is not premium than ever which is an overall great experience for the users. What are the best features you like most on the Samsung Galaxy S9? Share your thoughts with us!